As this will sadly be the last article I write for the semester, I must say how much I have enjoyed sharing my experiences with you while studying abroad with DIS in Stockholm. Collaborating with my friends and fellow DIS bloggers during the last several months and serving as the pioneers for this new and remarkable program in Sweden’s capital city has truly been a rewarding experience, one that I will never forget. Since it is particularly difficult to consolidate a semester’s worth of experiences and takeaways into a single, concluding write-up and, and at the same time, find the perfect words to describe this extraordinary chapter of my life, I figured I would base this finale around the idea that pictures are worth a thousand words and literally illustrate my time in Sweden. Hopefully, you will be able to view these images and from them, sense the close connections that were made, the friendships that have evolved, and the relationships that will never die. At the very least, I hope that you will be able to sense truly how much fun we all have had living in a completely new and exciting place. Without further ado, I would like to present the people that have made my time in Sweden and Europe, a great one. It is hard to go a single blog post without noting the role that my Homestay has played during my study abroad experience and this final write-up is no exception to this purposeful and unavoidable trend. Even to this day, I can vividly recall meeting Johan for the first time while being nearly delirious after my 7+ hour flight from D.C. to Stockholm. I remember immediately yearning to learn everything there was to know about my host family, Swedish culture, and commonly held perceptions of the United States, to name just a few of my inquiries. Little did I know that after only two and a half months, I would have dinner nearly every night with my host family, explore the city together, swim in the open water and run a 5K with Susanne, play on the same football team and attend a rock concert (alright, it was a Nickelback concert) with Simon, share our favorite movies and meal recipes together, and cheer on Hammarby to victory in the rowdy Stockholm football matches. In the zone carving and painting a Swedish themed pumpkin with my host family – spooky!! 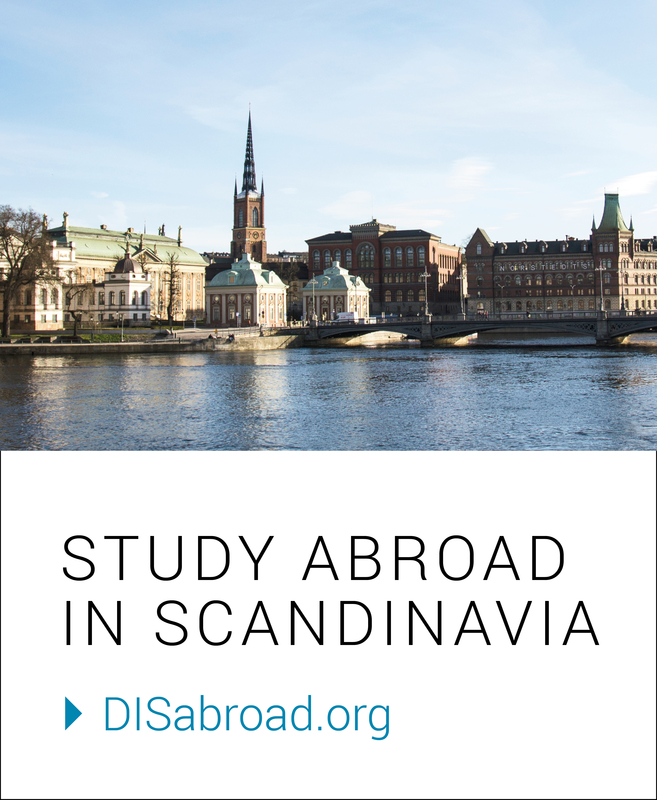 As one of the pioneer students for DIS Stockholm, I knew that the people in our program would have a unique opportunity to grow especially close to one another when compared to our sister program 400 miles south, in Copenhagen. I could not be more thrilled with the opportunity we have had to travel throughout Europe with our respective core courses, take part in DIS-sponsored trips throughout Sweden and surrounding countries, and plan spontaneous trips to cross certain destinations off our abroad bucket lists has enabled many of us to build lasting friendships, see places we have only ever dreamed of visiting, and take some quite breathtaking photographs in the process. Taking the T-Bana with these awesome people! Thank you to Andrea’s host family for having us all over for dinner! Being immersed in any new environment comes with its own set of unique challenges and pieces of the puzzle in need of being pieced together. At first, it is easy to observe and solely focus on the differences one might have with those around him, particularly regarding dissimilarities in language, culture, and widely held beliefs or principles. It takes time along with an adapted mindset to realize just how many parallels do, in fact, exist. When my teammates on Boo FF weren’t running laps around me and passing the ball between my legs as a result of their high level of skill and years of training, they were going above and beyond to make me feel included not only as the newest member of the team, but also as a newcomer to Sweden. As my skills and endurance gradually improved week to week, so did my ability to understand bits and pieces of conversations and instructions given by Johan and Mikael, the two coaches/trainers for Boo FF. Despite everyone’s nearly perfect understanding of the English language, it felt quite rewarding being able to move away from exclusively speaking in my native tongue to having even brief and rudimentary conversations in Swedish. Practicing with these funny, yet focused and talented individuals and receiving quite possibly one of the warmest and most appreciative send-offs I have ever experienced from them has been a true highlight of my time here in Sweden and for this, I could not be more grateful. Thank you to the whole Boo FF family including Johan, Mikael, and Mari for truly making me feel at home and keeping me in shape at the same time. Your 2016 Boo FF-Nacka football team! You will see new places, meet new people, and make new memories that you will carry with you for the rest of your life. Adjö och tack för att du läste!